Life is a journey, not a destination. It takes us up hills and through valleys. At every stage of the trip, we meet new opportunities and challenges. If we’re lucky, we grow along the way. Our money life follows a similar path. As we ride our personal and professional trail from youth to retirement, we confront new and different financial opportunities, circumstances and obstacles. While each of us treads a unique path, many of us seem to make the same mistakes at various stages of life. Here are some of the most common money miscues, and thoughts on how to avoid falling into these generational traps. As you begin your career you should be investing heavily in growth stocks, which carry some risk but offer the potential for big returns over time. Unfortunately, too many current twentysomethings are too risk-adverse to adopt this strategy. Instead, their portfolios are thin on stocks and heavy on assets that offer guaranteed income. That’s a perfectly fine strategy, too – if you are on the verge of a fully-funded retirement and want to insulate your nest egg from market volatility while generating some post-career income. Experts believe today’s young people are more skittish because of the instability they’ve witnessed in their lifetimes, from 9-11 to the financial meltdown. One possible solution: Target-date mutual funds, which start out with riskier growth assets and slowly transition over the decades to more conservative holdings. Your 30s: Too Much to Handle! Young people today often don’t start a family or buy a home until they are in their 30s. That makes this a frenetic time. The first pitfall to avoid is thinking that you should be living the way your parents did when you were in high school. Understand that it takes time to build that sort of financial comfort. Trying to recreate that ideal life by racking up credit card debt and buying too much house will ultimately make it harder to achieve your goals. Another common thirtysomething mistake: making poor investment decisions due to lack of knowledge of the panoply of options available in today’s market place, some of which are complex. If you are in a place to start investing but lack the time of inclination to educate yourself, consider working with a financial professional. Even if you have some knowledge and interest in investing, remember that a professional money manager spends all day every day immersed in this stuff and can thus offer advice and insight based on deep knowledge and lengthy experience. As we approach midlife we face the biggest expenses of life – home ownership, raising kids, and, perhaps, caring for an aging parent. These burdens must be properly managed to avoid both short and long term trouble. As you look to move from that starter home to the place where you’ll raise your family, try not to overspend. Ask hard questions about how much space you really need and whether you really need to be in that tony neighborhood, as opposed to the less expensive adjacent community. Think ahead. Will you be able to pay off this mortgage by retirement? Being mortgage free when you end your career is a huge financial advantage. The single largest kid expense is, of course, college. Again, put his one under the microscope. Does Junior really need to attend a four-year college to have the career he wants? If so, ask yourself what you’re really hoping to achieve by shelling out for a private college versus State U. Press your young scholar to be invested in her education by pursuing scholarships and bring responsible for some portion of her college expenses – books, for example. If you think you have to support an elderly parent, start those conversations early. Be business-like in assessing the parent’s needs and resources. Contribute only what you can without endangering your own financial future. Too many of us realize in our 50s that we haven’t saved enough for a retirement that could last 30-plus years. That situation can be complicated by job loss or the need to maintain an expensive lifestyle built up over the years. An increasing number of Baby Boomers are turning to entrepreneurship, hoping a business will give them the added income they need for retirement. But that’s a risky proposition with both huge potential upsides and downsides. 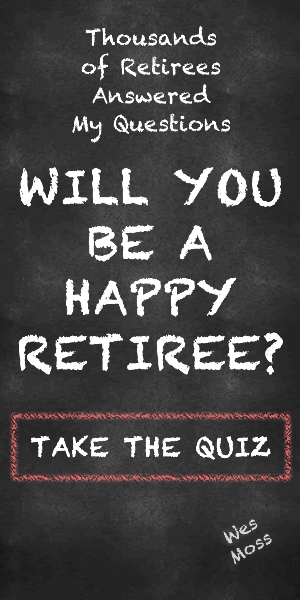 The answer for fiftysomethings worried about retirement is simple but hard. You need to truly prioritize saving. That might mean downsizing your home (and lifestyle) and/or even taking on a side job or consulting work. It might be uncomfortable now, but it beats eating cat food when you are 70. There is much truth to the notion that today’s older Americans are “younger” than previous generations of elderly citizens. But, the fact is, there will still be a slow but steady diminishment of our analytic abilities as we age. Therefore, it’s important to have people in our lives whom we can trust to help with financial decisions in our later years. This circle might be made up of family members, financial professionals or a mix of both. Ideally, you’ll have this support system in place before you need it. That will give you the peace of mind to enjoy the retirement you earned by working hard and avoiding these most common money mistakes. Previous ArticleScience Just Proved Something We All Knew, Cheese Makes Wine Taste BetterNext ArticleThe Top 15 Island Getaways Outside Of The U.S.